Information regarding remote participation is updated. Visit Agenda for more information and PDF download. 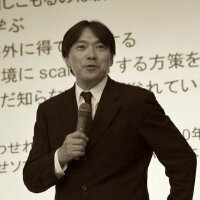 On May 9th, 2016, Dr. Suguru Yamaguchi, Professor of Nara Advanced Institute of Science and Technology (NAIST) and a Trustee of JPNIC, passed away at the age of 52. We are calling upon the APrIGF community to contribute eulogy for Dr. Yamaguchi or photos to share at the Opening Plenary of 2016 APrIGF. To contribute, please email the local host. Visit “2016 APrIGF Program Agenda” page for program details. Visit “ASIA PACIFIC INTERNET LEADERSHIP PROGRAM (APILP)” page for program details. 2016 APrIGF Program Agenda Released! Visit “Agenda” page for details.